On October 2nd, 2018, Hamilton Capital will be launching the Hamilton Capital Canadian Bank Variable-Weight ETF (HCB). This ETF will consist of the Big-6 Canadian banks, rebalanced monthly to capitalize on the long-term mean reversion tendencies of the sector. Specifically, it will overweight the three most oversold banks from the prior month (to ~80%) and underweight the three most overbought banks (to ~20%)1Using the 50 day moving average. Please note: The following comment discusses and quantifies the historical mean reversion tendencies of the Canadian banks. All Canadian bank performance data is calculated using a methodology different from HCB. 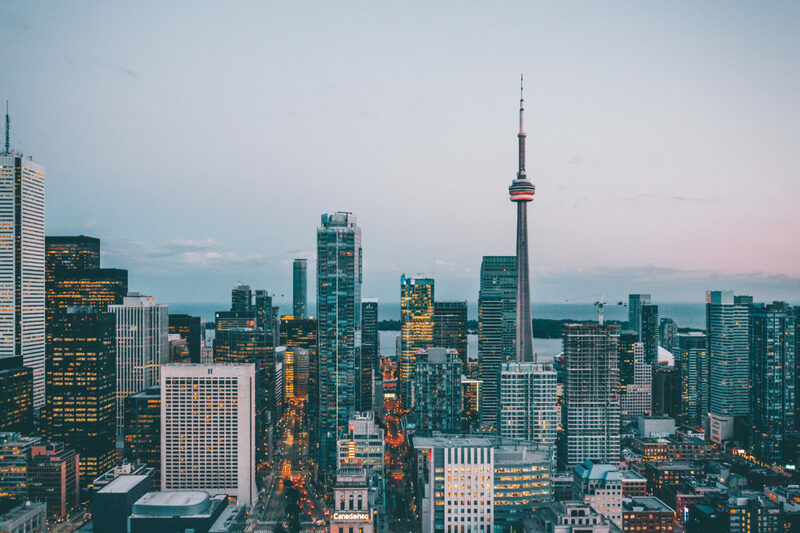 In addition, all past performance information is not indicative of future results, either for a hypothetical portfolio of Canadian banks or for the Hamilton Capital Canadian Bank Variable-Weight ETF (HCB). Mean reversion as a strategy is one of the most written about themes in Canadian bank investing. At the beginning of every year, market commentators regularly extol the benefits of selling the “best performing” bank(s) from the prior year in favour of the “worst performing” bank(s). For example, a 2015 equity research report from BMO Capital Markets (BMOCM) measured the benefits of “single stock” and “basket” mean-reversion strategies and concluded that – based on their hypothetical historic back-testing – both strategies would have resulted in highly material outperformance2See details below. The “basket” strategy of Big-6 Canadian banks explained by BMOCM overweight (underweight) the three worst (best) performing banks and was/is based on the same principles as HCB. These types of mean reversion analyses often have limitations, specifically: (i) small data set (BMOCM used 10 data points/years); (ii) the absence of the impact of retail trading commissions, and; (iii) investors rarely do this rebalancing on exactly January 1st each year. For the purposes of measuring mean reversion we expanded the sample size to include monthly data over the last 20 years (i.e., 240 months ending August 31st, 2018) and simplistically measured the performance of the prior month’s worst and best performing banks relative to the average of the other five Canadian banks. While this methodology is not the same as that to be employed by the Hamilton Capital Canadian Bank Variable-Weight ETF (HCB), and emphasizing that prior returns are not indicative of future returns or the performance of HCB, it does offer three takeaways. First, in the 240 months since 1998, the worst performing bank outperformed the average performance of its five peers in the following month 137 times, or 57% of the time. The average outperformance was +69 bps, while the median was +47 bps. Second, when looking at the mean reversion effects for the Big-6 banks on a continuum, each of the three worst performing banks on average outperformed in the following month (while the three best performing banks underperformed). See table below. While past returns are not indicative of future returns (or the performance of HCB), this evidence explains why mean reversion remains a consistent and popular theme for Canadian bank investors. Third, historically the outperformance is greatest in periods of high volatility, like macro corrections. For example, in the 24 months overlapping the financial crisis, i.e., 2008 through 2009, the average outperformance of the worst performing bank in the following month was +192 bps (median of +248 bps). The Hamilton Capital Canadian Bank Variable-Weight ETF (HCB) is designed to offer investors an opportunity to potentially benefit from historical mean reversion tendencies of the sector while generating monthly income. It also offers the potential to reduce the overall risk of the portfolio, particularly during periods of elevated market stress, where the benefits of mean reversion have historically been greatest. 2 In the January 5, 2015 report entitled “Feature: Canadian Bank’s Shareholders Win Again”, BMOCM outlined three investment strategies, including ’single stock’ mean reversion trade and ’basket approach’ to mean-reversion trade. In the former, it was to overweight (underweight) the prior year’s worst (best) performing bank. In the latter, it was to overweight (underweight) the prior year’s 3 worst (best) performing banks. It did not disclose by what percentage relative to the index that each position was overweight or underweight.